I reach up and wrap my hand around a bit of rock that’s protruding from the ledge. I hang on tight. I’m about to use my leg to push me up and onto the ledge – but it’s not actually that far. The problem is that it’s slippery and if my foot was to slide off… well, I’m not quite sure where I would end up. 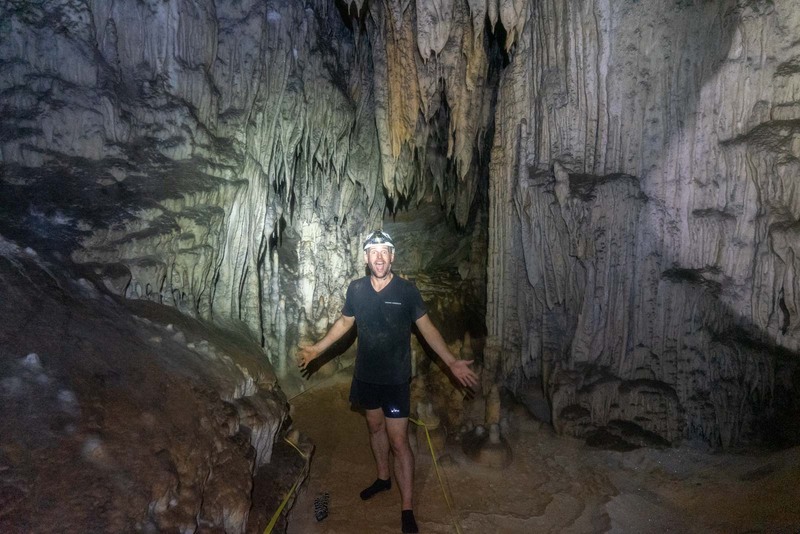 Here, in the Crystal Cave of Belize, the actual climbing to explore the caverns is not particularly difficult – but there are two things that make it harder than it should be. The first is the slipperiness, which is mainly due to the clay from the ground sticking to my shoes and then mixing with the water to become worse than a potter’s wheel. And the second is the darkness. I have a torch on my helmet and can see clearly what is in front of me. But in every other direction it is black. It makes climbing into the unknown a bit more tense. But it’s no surprise that it’s dark. We are kilometres into a cave complex and who knows how far underground. When, as an experiment, we all turn off our torches, it turns the word ‘black’ into a tangible sensation. Where we’ve reached in the Crystal Cave, after about two hours of walking, climbing, scrambling (and, I’ll admit, occasional sliding), is probably deeper than the Ancient Maya ever came. But, then again, they weren’t coming here for adventure. To the Maya who lived here more than a thousand years ago, caves were spiritual places. They believed they were entranceways to the underworld and that their gods lived down here. So, when the Maya couldn’t find their gods above the ground, this is where they came to speak to them. Although, ‘to beg them’ might be a better description. I’m here as part of a Mayan Discovery tour with G Adventures (although the caving is an optional extra, as I’ll explain later). If you read my first story about the tour, you’ll remember how I explained the Maya contributed to their own downfall. The short version is that when the drought hit, they prayed to their gods to bring rain. When that didn’t work, they made offerings of food and other items. When that also failed, they sacrificed their blood. And when that also didn’t work, they made human sacrifices. In the end, none of it helped. The Ancient Mayan were causing the climate change to get worse by cutting down all the forests to build their opulent cities. The Crystal Cave here in Belize is a perfect representation of this increasingly desperate series of offerings to the divine. Well, then we come to a small ledge in one of the caves where you can still see the skull of a human who was sacrificed here in an attempt to bring the rains. It’s a jolting moment and it brings a sense of gravity and history to what could be just an adventure. But there’s so much more to the cave than just the physical challenge. As I walk carefully along a ledge, trying to keep my balance, I wonder whether the Ancient Maya noticed the beauty when they came down here. Because it is stunning. I find it hard to believe they weren’t dazzled – that’s probably one of the reasons they believed their gods lived down here. 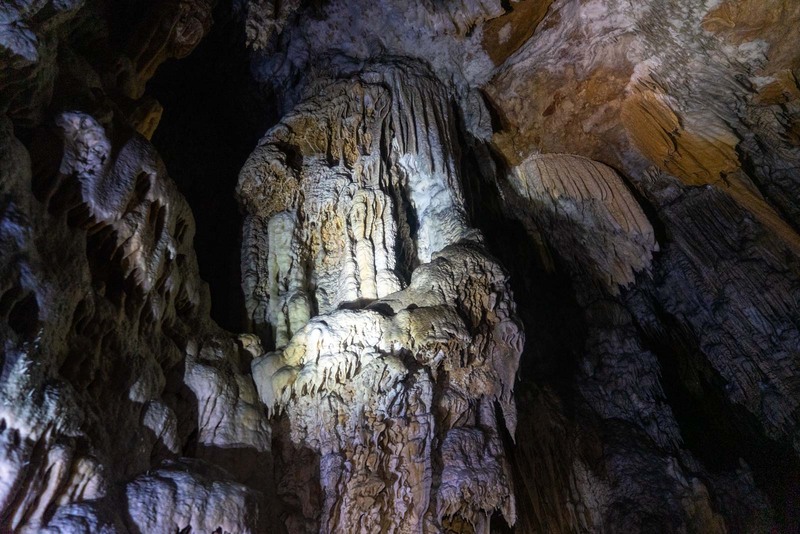 The figures that have been carved out by the water here in this limestone karst are incredible. 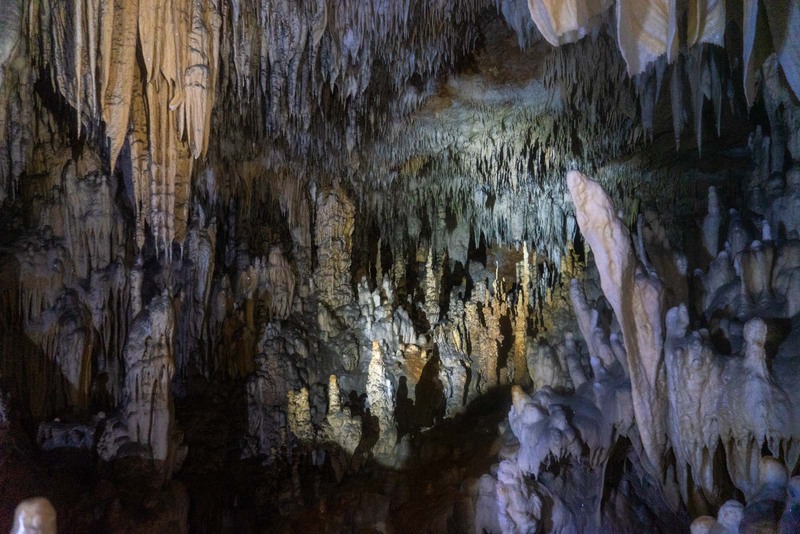 The formations that have grown over thousands of years are breathtaking. Each shape is a wonder on its own. When they all fit together and fill the caves, they become masterpieces. As I continue and move my head around to shine the torch on different parts, they glitter. Each new angle creates a new pattern. 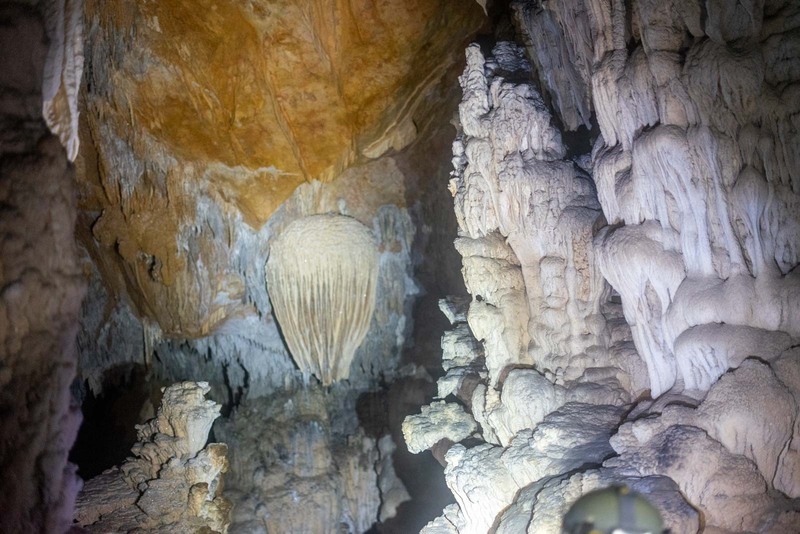 But even these amazing sights don’t prepare me for our final destination, deep in the cave. It’s called Wonderland – and the name is apt. We take our shoes off to protect the limestone and climb up to an opening. Going inside, it opens up to an enormous cavern of glittering shapes. Walking through, down little passageways and around into other caverns, everything shines. There are formations everywhere, decorated like a church for a wedding. It is so beautiful… and all carved by nature. I think that’s what makes the Crystal Cave here in Belize so special. Yes, it has a connection to the Mayan heritage and I enjoy seeing a different side of that history. But it is also just naturally spectacular. I already know the Belize is beautiful from what I’ve seen above the ground and under the water. To see it under the ground as well is incredible. 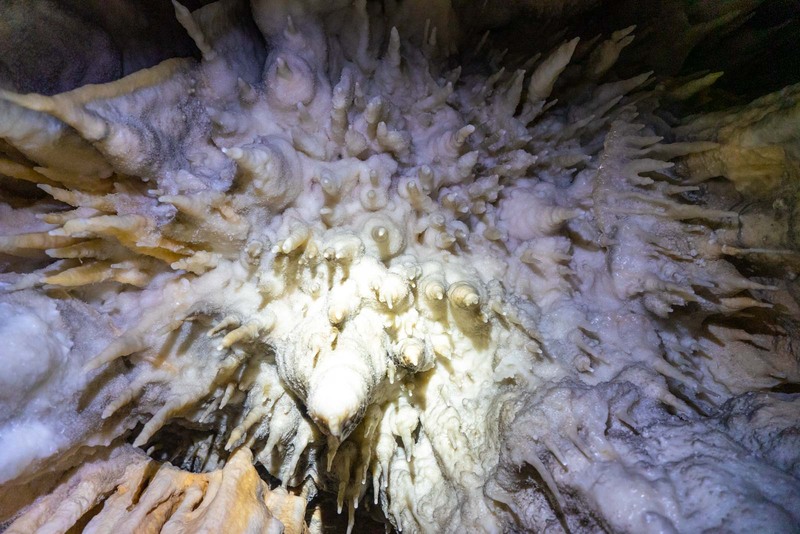 To explore the Crystal Cave, we leave from the town of San Ignacio in western Belize, near the border with Guatemala. It’s a small town with most of the action happening around a neighbourhood of just a few blocks of restaurants, guesthouses, and local tour operators. Most people come here for the activities that San Ignacio has become the base for. The town is known as Belize’s adventure capital, with a whole range of things that you can head off and do. One of the great aspects about a G Adventures tour is that quite often there are optional activities and you can choose which one interests you most – or even choose to do none of them and explore on your own or have some downtime. 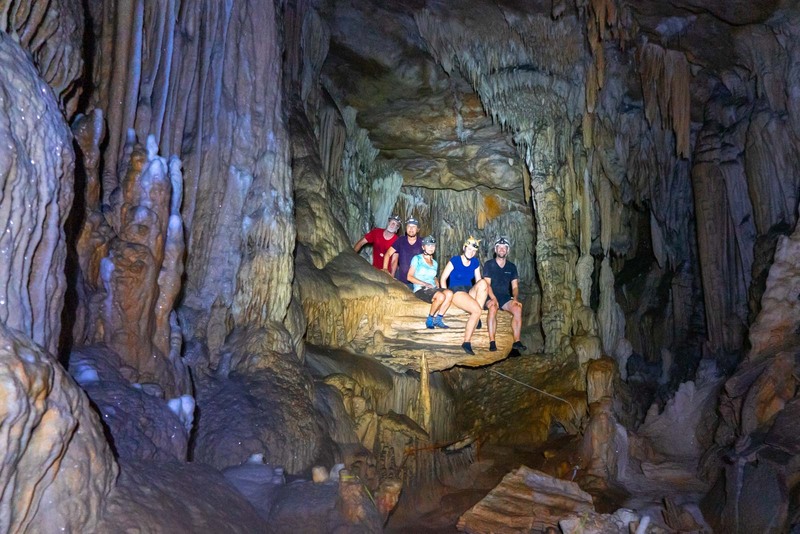 The Crystal Cave expedition is by no means the most popular activity. In fact, fewer people do it than most of the other options – that’s why I choose it. I think it’s one of the most exciting and rewarding adventures you can do but it’s also one of the most difficult. I guess many people prefer to go for the easy and obvious option. 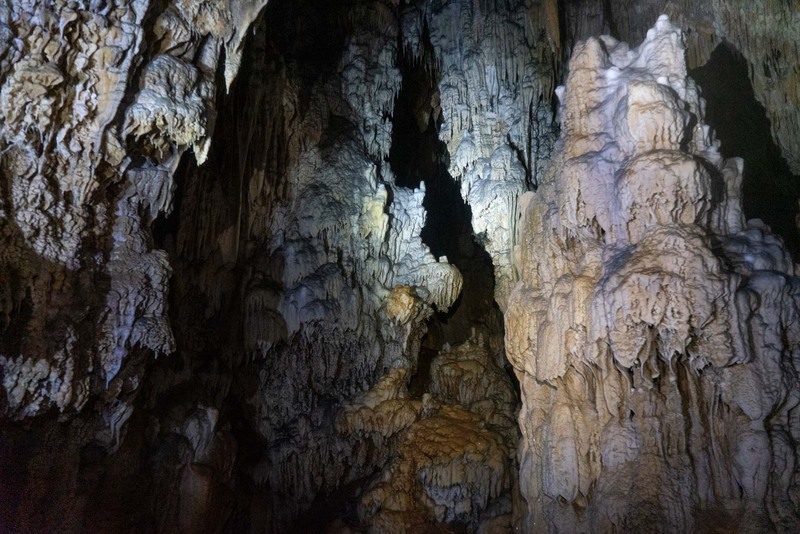 The most popular activity here is a trip to Actun Tunichil Muknal Cave (usually referred to as ATM Cave). This is still a fun trip but it’s quite easy. You need to swim through some water to get into it, but then it’s a fairly easy walk through the cave. There are artefacts from the Mayan civilisation, including skeletons from sacrifices. Some of the other popular activities include canoeing, tubing, and archaeological trips. When a lot of people think of Belize, they think of the beach and the islands like Caye Caulker. 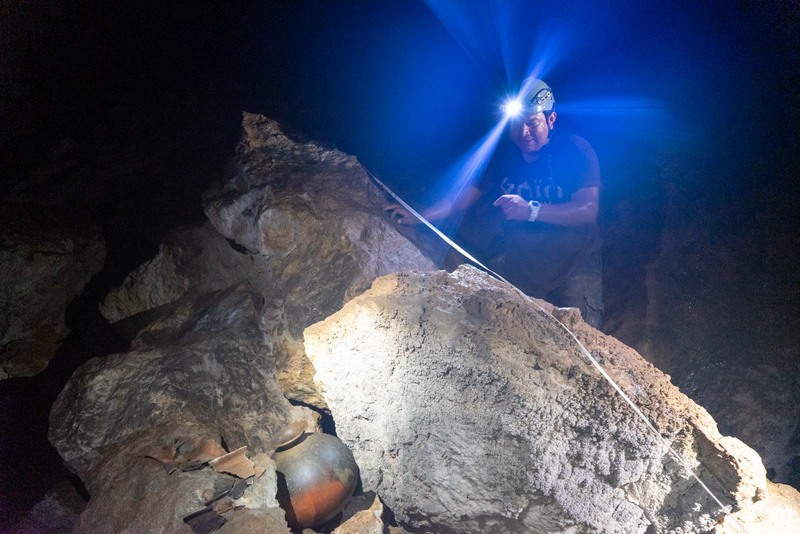 Going underground, deep past where the Mayans performed their sacrifices… well, you couldn’t be further from that. But that’s what makes my time here in Belize with G Adventures so much fun! I travelled on this tour with the support of G Adventures in my position as a G Wanderer. 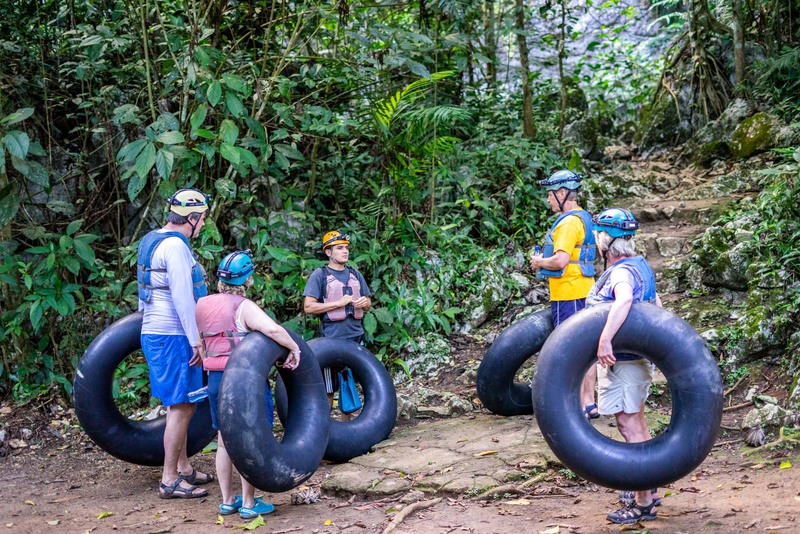 All the opinions expressed are my own – I truly believe G Adventures is one of the best tour companies that you can use for a trip to Mexico and Central America. I wanted to try doing a cave expedition but I am really scared – but it looks stunning though.